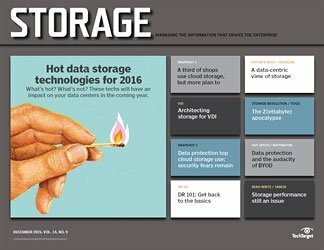 Managing a heterogeneous storage environment means juggling a hodgepodge of vendor-specific tools. 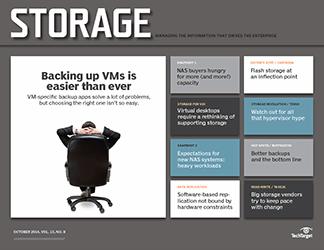 Some vendors are working toward a consolidated management console, but standards are needed for single-pane storage management to become a reality. 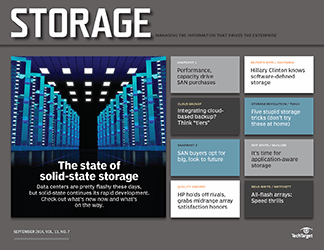 A single console to manage heterogeneous storage is the Holy Grail of storage management for many users, but not all vendors share this vision. 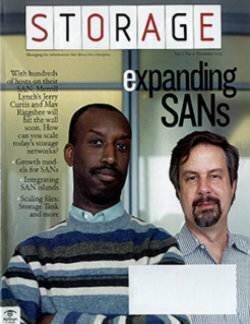 It's not news that SANs have quickly grown in size, complexity and heterogeneity, and that they've become increasingly difficult to manage. 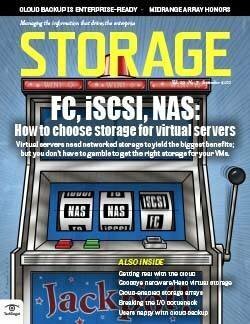 A SAN serving a company with more than 10,000 employees has an average of 317 storage devices, according to IDC. Managing a large SAN from a single pane of glass--one consolidated console--would be a godsend. But there's reason to hope. 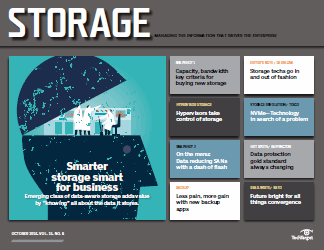 From emerging storage management standards to the consolidation of storage management tools, the storage industry is slowly--albeit very slowly--progressing toward unified storage management. 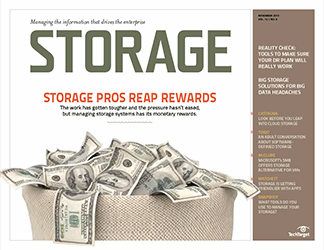 "In the past couple of years, we've seen storage resource management [SRM] and SAN management converge," says Laura DuBois, research director, storage software at IDC. 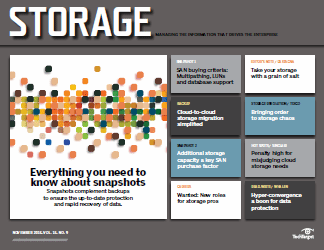 Click here for a comprehensive list of heterogeneous storage management suites (PDF). 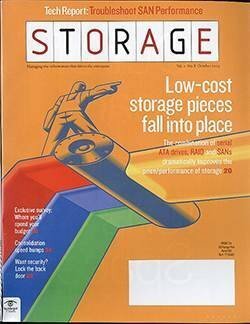 The storage software market was traditionally separated into SRM, which deals with host-based issues such as capacity planning and file reporting, and SAN management, which focused on managing the storage infrastructure (see "Heterogeneous storage management suites" PDF). 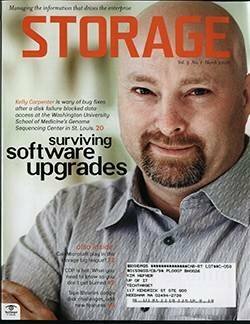 Discovery of storage components, health and performance monitoring, and reporting along the full data path from the file system, host bus adapter and SAN switch down to the array, LUN and physical spindle are requisites for a storage management suite to provide a detailed view of the entire storage landscape. 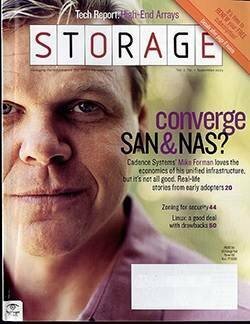 Configuration management of storage components and the ability to provision storage--from LUN creation and zoning to the presentation of storage to a host--should also be among any storage management application's capabilities. 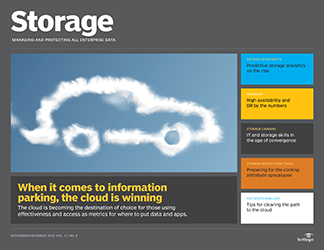 Newer features, such as the ability to model changes and the visualization of the complete data path, are also turning up in storage management suites. 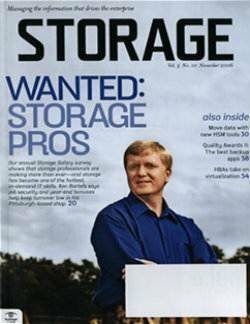 Storage management application: HP Storage Essentials. 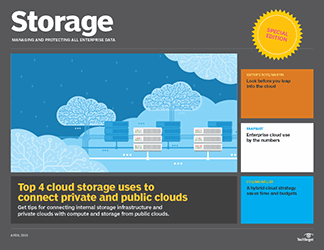 Kudaravalli currently uses Storage Essentials for reporting and monitoring. 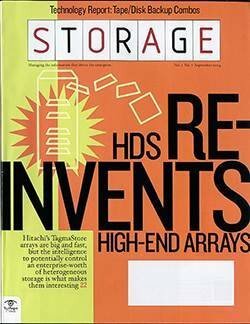 He plans to phase in more advanced features over time and will eventually manage all storage aspects using HP Storage Essentials. 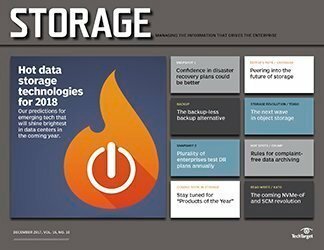 Primary driver for deploying a storage management suite: The company quadrupled in the past four years, but Kudaravalli's team grew by only 10%. 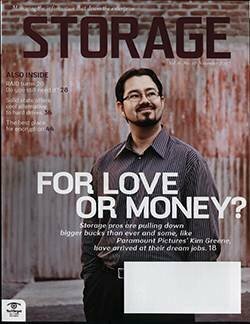 His team can be more efficient by having a single storage management application to manage all storage devices with HP's Storage Essentials. Assessment: He finds the product very powerful but complex. 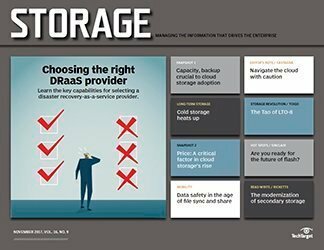 Recommendations: Kudaravalli recommends a trial period or proof of concept prior to purchasing a suite to ensure that the storage management application fits into the environment and supports all storage management needs. Furthermore, proper training is crucial for a successful project and adoption. 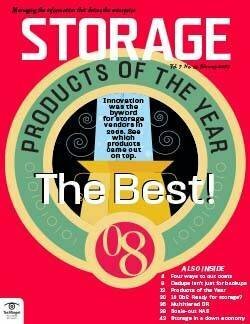 Vendors that offer products in addition to a storage management suite have an advantage with customers using some of their other products. In addition to the existing customer vendor relationship benefit, most companies try to limit the number of vendors they use. 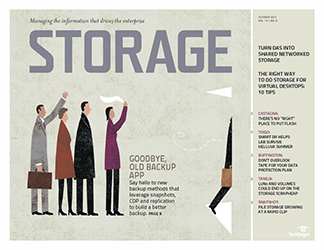 For example, this gives Symantec Corp. a leg up with customers that already own its Veritas backup products because the products are tightly integrated. 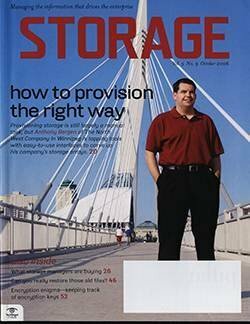 Similarly, Computer Associates (CA) International Inc.'s close integration of BrightStor with its Unicenter system management suite and ARCserve backup application, gives BrightStor an advantage in companies already using Unicenter or ARCserve. 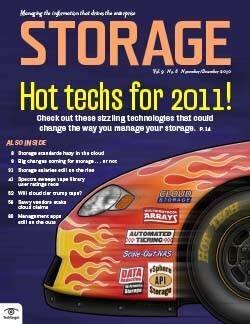 Storage management applications from EMC Corp., Hewlett-Packard (HP) Co. and IBM Corp. favor those vendors' own products. 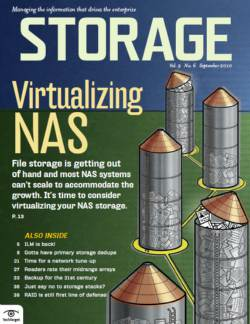 For example, IBM's TotalStorage Productivity Center (TPC) for Replication currently supports only IBM storage and does performance reporting on IBM's SAN Volume Controller virtualization product only; similarly, EMC's ControlCenter can only discover, map and monitor its own Invista storage virtualization product. 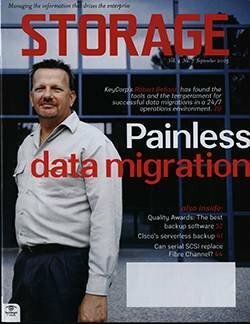 Companies like CreekPath Systems don't have this leverage and have been struggling to compete against major storage vendors. 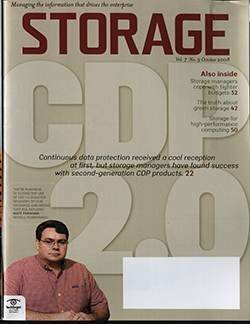 As a result, CreekPath is in the process of rebranding itself as a "storage business analytics vendor" with a focus on storage analysis and trending. 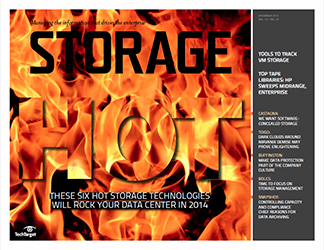 AppIQ Inc., on the other hand, was among the best for heterogeneous storage support and was acquired by HP. 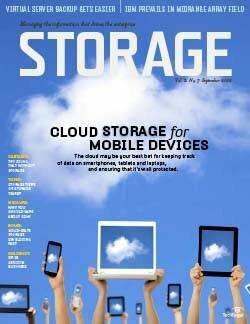 The AppIQ product is now sold as HP Storage Essentials. AdventNet Inc. took a different path by focusing on usability and affordability, and limiting its suite to discovery, monitoring and reporting of heterogeneous devices targeting the small- to medium-sized market. 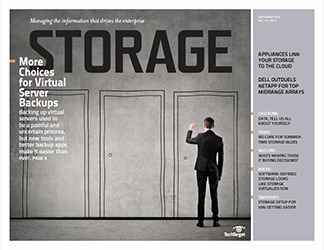 Today's storage management applications are far from being truly heterogeneous because they work with only a limited number of devices and protocols, requiring users to look closely at qualification matrices when shopping for a storage management application. 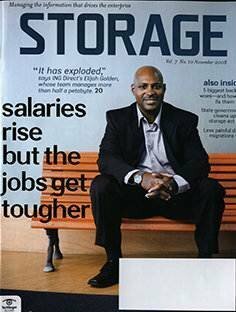 Furthermore, customers should insist on a trial period to ensure that the storage management application fits into their environment and supports all storage management needs, recommends Babu Kudaravalli, director of enterprise systems at National Medical Health Card Systems Inc. in Port Washington, NY (see "From the field"). As with many fast evolving industries, little attention has been paid to standards, resulting in a flood of proprietary implementations. 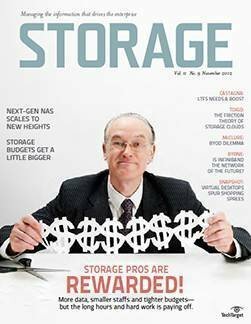 Only in the past few years has the storage industry worked together under the Storage Networking Industry Association (SNIA) umbrella to create the Storage Management Initiative (SMI) to develop and standardize interoperable storage management technologies. 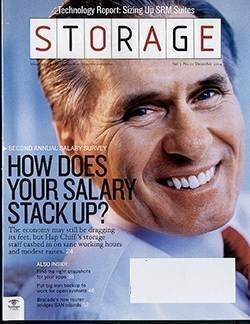 But it takes time for a standard to evolve. 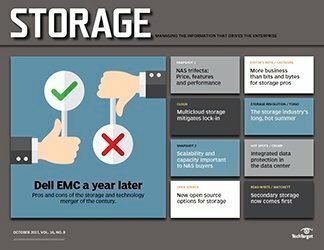 "[The Storage Management Initiative Specification] SMI-S 1.0 was focused around discovery and basic management, but the latest version, SMI-S 1.1 ... goes beyond the basics, allowing a higher order of control," says Denis Kennelly, vice president of storage management product strategy at EMC. In addition to slowly evolving standards, the adoption of existing standards has been hampered by incomplete implementations of SMI-S and vendors trying to protect their turfs. "One problem with SMI-S is that it can be implemented differently, and some vendors have opted for not implementing all features," says Eric Pitcher, CA's vice president of BrightStor product management. To add insult to injury, "proprietary implementations protect vendors' investments and margins, and therefore prevent some vendors from truly supporting standards, and only supporting standards to the extent that it won't hurt them from a marketing perspective," says Brian Babineau, an analyst at Enterprise Strategy Group (ESG), Milford, MA. 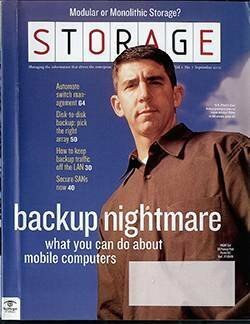 That's why a single application can't manage the myriad storage devices and protocols in existence today. 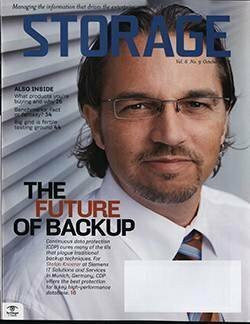 "Storage management deals with a huge number of variables," says David Russell, research director at Gartner Inc. "A large number of vendors, devices, applications and APIs make it a very complex problem that increases exponentially in complexity with the number of combinations." 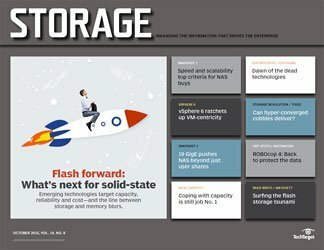 To overcome the limitations of today's standards, vendors have added proprietary support for mainstream storage devices to their suites in addition to standards-based management. By supporting standards such as SMI-S, CIM and SNMP, their management applications can manage any device adhering to these standards; however, the hooks into these devices may not be very deep. 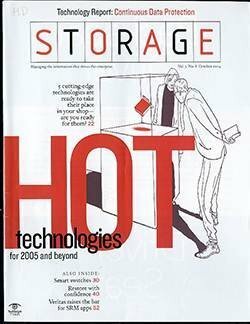 Therefore, they also support leading storage devices from vendors like Brocade Communications Systems Inc., Cisco Systems Inc., EMC, Emulex Corp., HP, Hitachi Data Systems, IBM, McData Corp., Network Appliance (NetApp) Inc. and QLogic Corp. by turning to proprietary APIs and CLI commands when standards fall short. 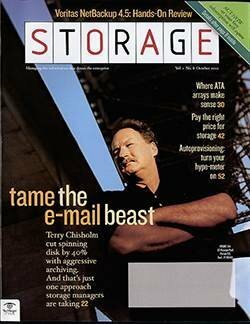 The latter method allows the management application to manage some leading storage devices at a much deeper level than by just using the present standards. 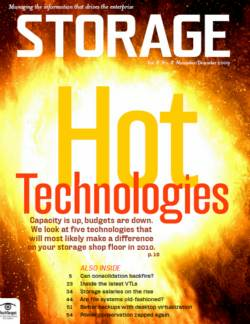 Storage management vendors are very selective when adding proprietary support for storage devices. "Proprietary device support requires testing whenever a vendor releases new firmware and software versions. 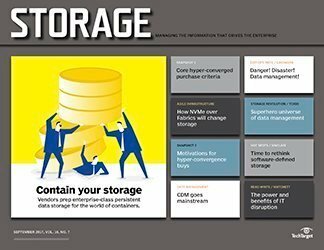 Each time we release a new version of CommandCentral, we need to ensure that it works with all devices we support," says Symantec's Danny Milrad, senior product marketing manager for CommandCentral Storage. "It's very expensive and it gets more complex the more devices we support outside of standards." 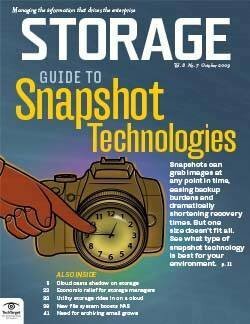 "Instead of looking at heterogeneous storage management from a single pane-of-glass perspective, a better way to look at it today is from a user's pane-of-glass angle," notes Russell. 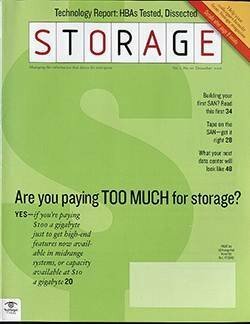 It's all about the 80/20 rule: "Storage managers need to choose the tool that best matches their priorities and select a storage management suite that takes care of the top 80% of their needs," he adds. 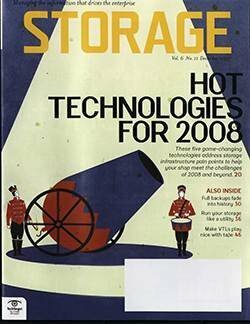 Obviously, standards are always lagging behind new technologies; as long as storage technologies evolve as rapidly as they have in the past 10 years, a heterogeneous storage management nirvana can only be approximated. 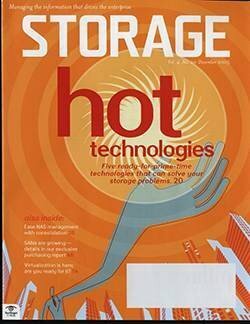 Last October, IBM Corp. led a consortium of storage vendors, including Brocade Communications Systems Inc., Cisco Systems Inc., Computer Associates International Inc., Engenio Information Technologies Inc., Fujitsu, McData Corp., Network Appliance Inc. and Sun Microsystems Inc., in announcing Aperi, an open-source community that plans to develop an open-standards-based storage management platform. 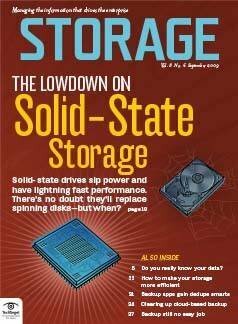 If Aperi succeeds in its objective--and there's plenty of debate on whether it can--storage management vendors will be able to focus on developing higher level storage management applications that support heterogeneous storage, rather than constantly re-implementing basic storage plumbing. 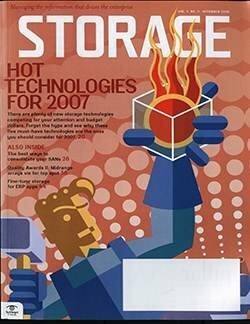 While SNIA's Storage Management Initiative Specification (SMI-S) provides a specification, Aperi will provide a reference implementation. 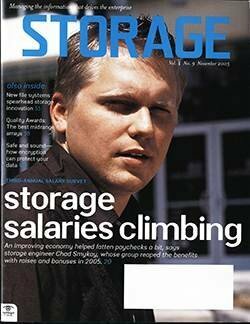 The hope of Aperi's participating companies is that Aperi will accelerate the adoption of SMI-S, and storage management vendors will run their apps on top of Aperi. 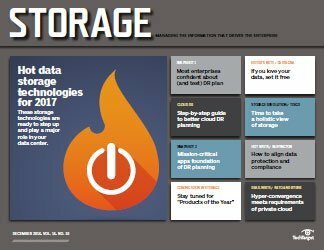 But several big storage companies--EMC Corp., Hewlett-Packard Co. and Symantec Corp.--are missing from the Aperi consortium list. 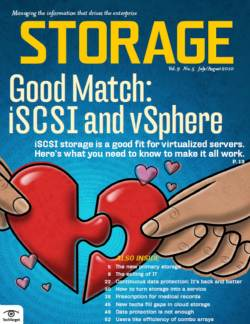 "For the Aperi open-source initiative to gain widespread involvement and success, operating system support beyond Linux [and] a clearly defined certification process, a vendor-independent management body like SNIA and participation of other large vendors is crucial," says Laura DuBois, IDC's research director, storage software. 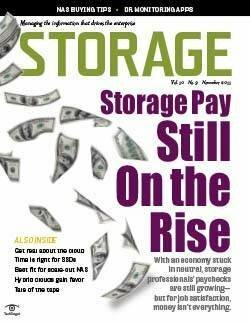 Storage management vendors have been struggling to differentiate their suites from competitors and convince customers to spend money--in some cases more than $1 million--on an application that in many ways aggregates tasks otherwise performed by free tools that come with the various storage devices. 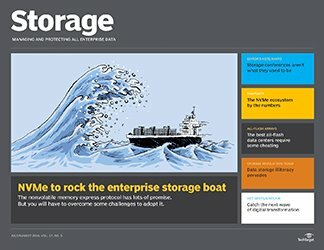 To differentiate their products, storage management suite vendors are starting to move away from being just technical plumbing tools. Mark Davis, CreekPath's president and chief executive officer, says his company is going to "stop building software that manages hardware and start building applications that provide true business value." 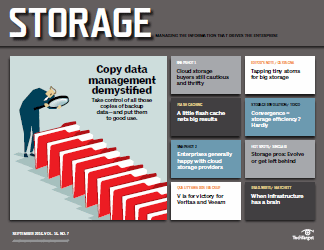 In the next version of its suite, due in the first half of this year, CreekPath will add business analytics to its application that will help businesses better plan and forecast their storage needs. 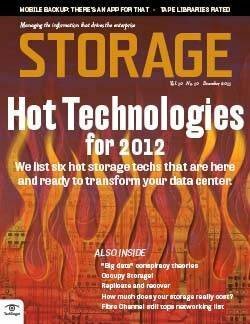 CA's BrightStor Storage Command Center, which is one of the BrightStor r11.5 components, provides similar capabilities. 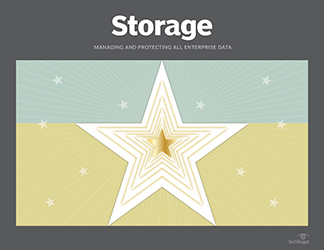 In addition to closer business alignment, storage management suites are adding more advanced features, such as easier SAN management for tasks like storage provisioning and event correlation capabilities to identify problems. Wizard-based provisioning and event correlation in EMC SAN Advisor and HP Storage Essentials are examples of this trend. 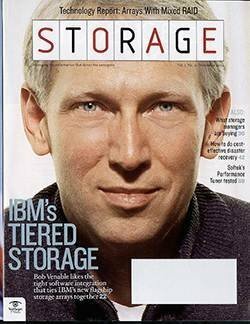 The Aperi reference platform (see "The Aperi initiative"), spearheaded by IBM and supported by other storage vendors, is focused on commoditizing and unifying basic element management. 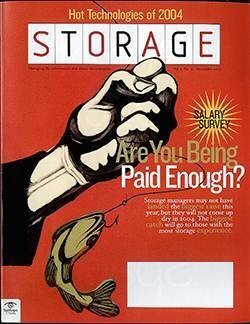 "Vendors shouldn't spend their time re-implementing the low-level plumbing, but should focus on higher level management like automation and ILM [information lifecycle management]," says Jamie Gruener, storage marketing manager, IBM Tivoli. 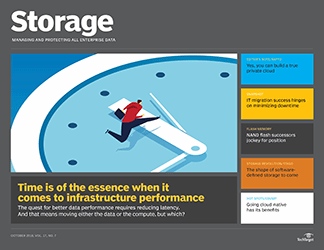 The ultimate storage management objective is the ability to react to storage events such as volumes running low on capacity or error conditions without human interaction. 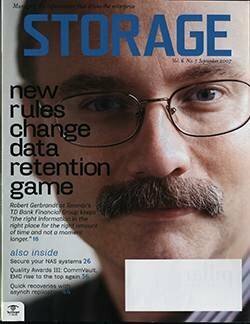 Although we find policy-based provisioning and process automation in Symantec's CommandCentral and EMC ControlCenter in the form of its automated resource management (ARM), ESG's Babineau believes most customers aren't ready for fully automated storage management. 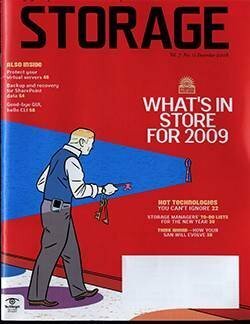 "In 2006, modeling will be big. 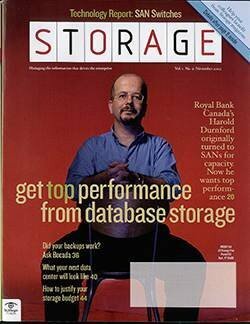 Being able to model additions and changes to your storage environment but apply them manually is one step prior to full automation, for which the storage community is not ready yet," concludes Babineau. 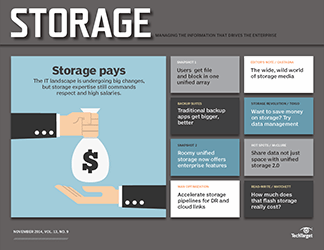 As storage, server and network management grow closer, storage management suite vendors are extending their applications beyond storage management toward complete infrastructure management, including server and network management. 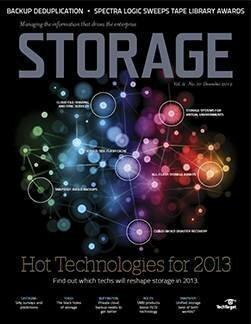 For example, HP added storage management capabilities to the 5.0 release of Systems Insight Manager (SIM). 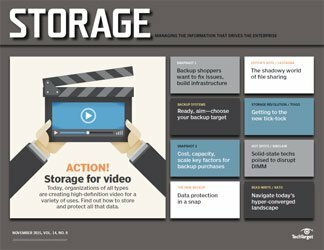 Furthermore, HP's Storage Essentials and SIM are closely linked by a common security model, database of objects, as well as common monitoring and event handling. 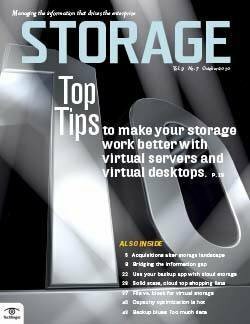 "As far as HP OpenView network management is concerned, it will stay separate for now," says Rich Escott, director, storage resource management software at HP. 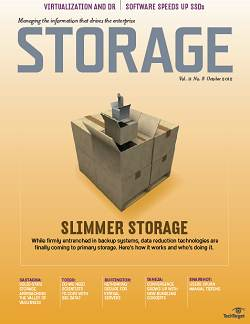 "Although there are interfaces between OpenView and SIM/Storage Essentials." 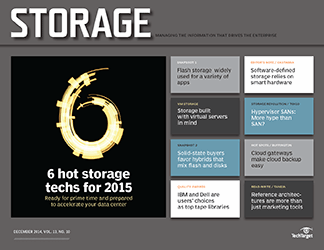 Along the same lines, IBM will couple storage and server management over time. 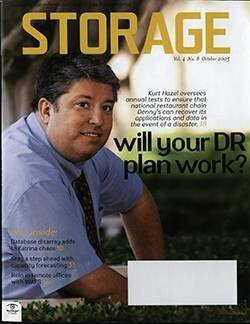 EMC, on the other hand, will add network management features to ControlCenter by integrating the recently acquired SMARTS technology into ControlCenter by the end of 2006 to foster EMC's current focus on disaster recovery (DR) and business continuity. 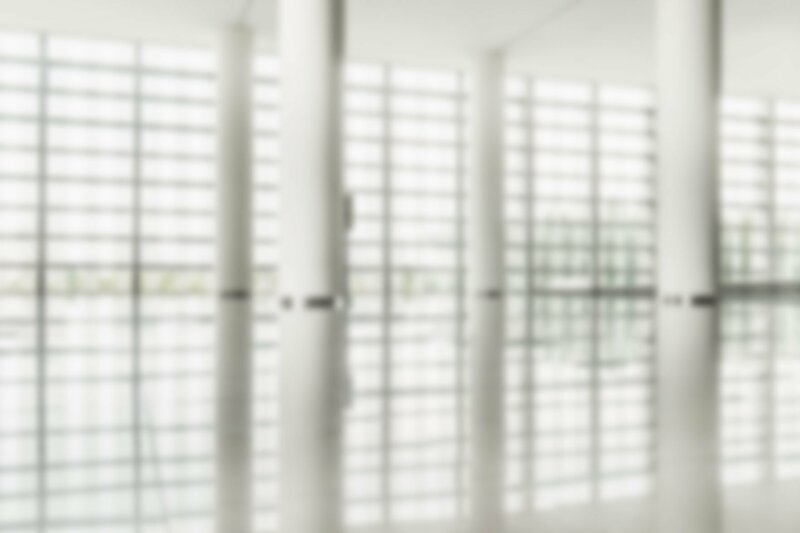 "For DR and business continuity, IP network management that's able to manage the network of connected sites is crucial," says EMC's Kennelly. 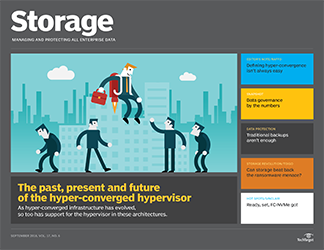 Although storage management vendors want their suites to be the center of the storage universe, managing heterogeneous storage components from a single console is only possible to a very limited extent today. 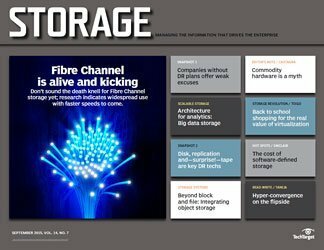 For storage environments that have standardized on Fibre Channel using a minuscule number of storage elements from major storage vendors, single pane-of-glass management is well in reach. 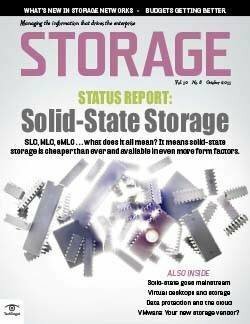 Beyond that, single pane-of-glass storage management of very heterogeneous environments is a fiction and will require storage management standards to mature before it can become a reality.